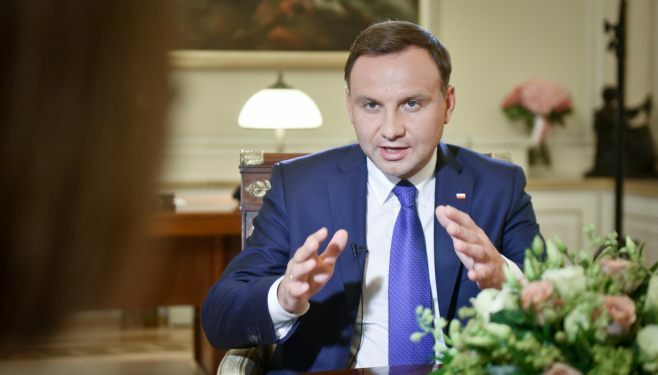 The gloves are off in Warsaw, as the new conservative president Andrzej Duda has called for a referendum designed to suit the agenda of his former party, the opposition Law and Justice (PiS), to be held on the day of the parliamentary elections on October 25. Duda has followed his predecessor, Bronisław Komorowski, in using the institution of the referendum as an instrument of party politics and in making a mockery of the supposed neutrality of the presidential office. But what will be the hallmarks of Duda’s presidency? In short: a moderate but more vocal foreign policy, economic populism, and Catholic-national pieties. Poland may be set to hold two national referendums within the space of two months. What’s going on? On 6 August 2015, President Andrzej Duda took his oath in Warsaw, while Bronisław Komorowski was left to contemplate how he could have tumbled from unprecedented approval ratings of 75% in February to electoral defeat in May. The turnaround seemed to take most of Poland’s political establishment by surprise, and it has been accompanied by a corresponding poll swing away from the ruling centre-right Civic Platform party (PO) to the opposition populist right Law and Justice party (PiS). It now appears that PiS – Duda’s party until he resigned to fulfil the empty convention of presidential neutrality – could win the upcoming parliamentary elections in October, though its ability to form a coalition might become the crucial question. After a conciliatory start to his presidency, Duda has thrown himself into the fray of the parliamentary election campaign with the decision to propose a new referendum to consider lowering the retirement age (just three years after the PO-led government decided to raise it), increasing the compulsory school entrance age (after PO recently lowered it), and privatization of state forests (which PiS accuses PO of planning). Slating the referendum for the day of the elections is ostensibly a cost-cutting measure, but many commentators have seen it as an aggressive move to ensure that issues congenial to PiS dominate the campaign. Now the PO-dominated Senate faces an unappetising choice between approving a referendum that could damage the party’s electoral chances and being seen to silence the voice of the people by rejecting it. Yet Duda would probably never have turned to this shrewd tactic if Bronisław Komorowski had not done so before him. 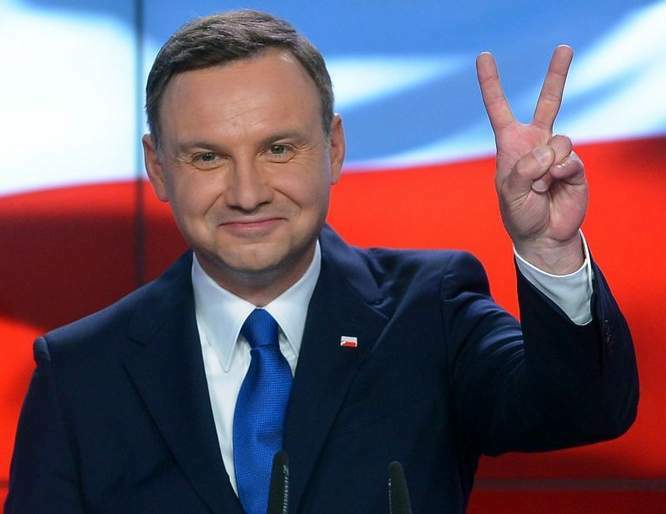 Komorowski’s narrow first-round loss to Duda was a genuine shock, as was the barnstorming success of irascible punk singer Paweł Kukiz, who won almost 21% of the vote on a platform of anti-establishment angst and a proposal to introduce a single-member-district voting system. With his presidency under threat, Komorowski attempted to breathe life into a previously moribund campaign before the decisive run-off with Duda by proposing a three-issue referendum. The first question referred to single-member districts in a transparent kneejerk appeal to Kukiz supporters; the other two concerned the financing of political parties and a proposed obligation for the Tax Office to find in favour of taxpayers in borderline cases. Komorowski’s referendum will take place on September 6 – at a cost of 100 million zloties. The Senate will soon determine the fate of Duda’s counter-referendum. The upshot is that Poles may face two politically motivated referendums within two months. One leading constitutional expert has suggested that they are both essentially unconstitutional, since they do not concern matters of “particular importance to the state.” Of course, the questions involved are important to citizens, but some of them seem too technical to be determined in a one-off vote without the in-depth discussion of potential consequences offered by parliamentary debates. For instance, many commentators have argued that a popular vote is the wrong way to determine the appropriate retirement age for the country’s present circumstances. In any case, since PiS supports lowering the age, the parliamentary elections will give the people the chance to express their views on the issue without the need for a separate vote. Meanwhile, the tax code question in Komorowski’s referendum is almost laughable in its pandering to the electorate. Polish politics has descended into a populist festival of dubious referendums, with Komorowski making the first panicked move, and then Duda taking his chance to stick the knife into the government before the parliamentary elections. According to the international media, Poland has been an economic star under the current government. Why are Poles likely to turf them out in October’s election? 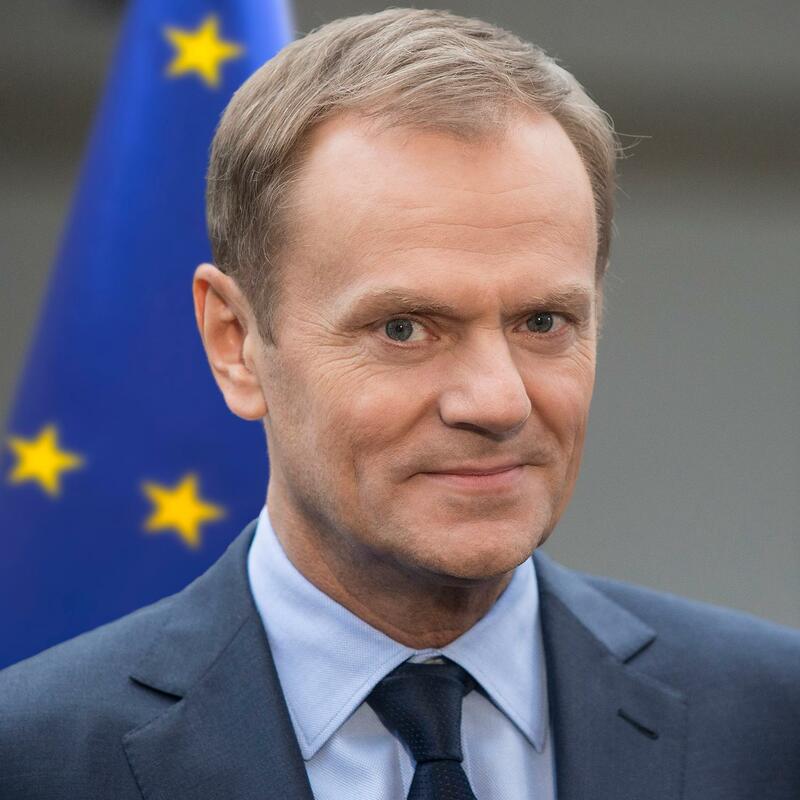 Donald Tusk, President of the European Council. Source: Wikipedia. First of all, we should consider the broader democratic phenomenon of voter fatigue with any two-term government. No party has enjoyed the enduring electoral success of PO since 1989, but two-party systems (and Poland may have developed one) generally run in cycles, and it might be that the PO government has simply reached its use-by date. Secondly, the party was hit with a series of damaging political scandals, followed by the departure of its guiding force, Prime Minister Donald Tusk, who left Poland to become President of the European Council. Finally, and perhaps most importantly, PO’s political narrative has gone stale. On the question of political vision for the future, President Komorowski famously remarked that “if someone has visions, they should go to the doctor.” His party’s political programme has been one of unapologetically unimaginative stabilisation – the proverbial politics of “hot water out of the taps.” For an electorate turned off by the chaotic ideological ambitions of the PiS-led coalition government from 2005 to 2007, PO was supposed to be a safe and centrist alternative, ensuring prosperity, development, and stability. Fair observers would acknowledge that the government generally delivered on this promise – with the Polish economy growing steadily together with Poland’s international standing. However, “hot water from the taps” and the almost proud renunciation of any ambitious visions for the future could only satisfy voters for so long. After all, now that Poland has supposedly achieved neo-liberal stability, one might wonder what is unique or attractive about the country, apart from being a somewhat less affluent version of its European neighbours. PO’s bland proposal offers little beyond this generalised European dream. So if Poland is to be simply a pale developing version of a European neo-liberal economy, then why would young Poles want to stay here, when they can legally live and work for better wages in the more established economies of the UK and Germany? Of course, the mass emigration of young Poles is not PO’s fault – since it has resulted from structural factors beyond any Polish government’s direct control – but the party has failed to inspire voters with a dynamic programme for the future. Jarosław Kaczyński, leader of Law and Justice (PiS). PiS – on the other hand – has a clear vision, however atavistic it might sometimes appear to be. PiS’s Catholic-national narrative has an imaginative resonance and clarity with which PO’s modest centrism cannot compete at a time when many Poles – especially the young – have become frustrated with the pace of change and their own limited opportunities. The neo-liberal promise now seems empty to many, and thus a return to a more ostentatiously “Polish way” has become increasingly attractive. At the same time, PiS has wisely eschewed some of the more controversial extremes of its previous campaigns – including a careful elision of Smolensk conspiracy theories – while weaving together promises of future prosperity with economic populism, Catholic social conservatism, and national pride. Andrzej Duda’s campaign reflects this shift. Duda himself remains a relatively unknown quantity. 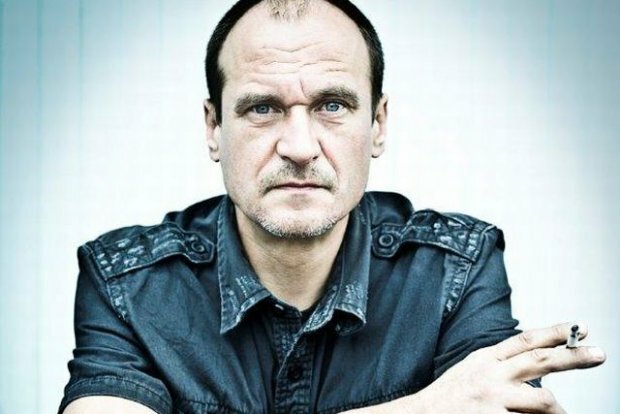 A lawyer and university professor by training, Duda served his political apprenticeship in the Ministry of Justice during the PiS-led government and later in the chancellery of President Lech Kaczyński, before winning office as a PiS representative in the Sejm and then in the European Parliament. Most have interpreted party leader Jarosław Kaczyński’s decision to pluck Duda from obscurity and thrust him into the presidential race as part of a broader strategy to improve PiS’s image among potential swing voters. Duda ticks all the boxes: he is young, dynamic, a good speaker, with a reputation as a conciliator and centrist. While Kaczyński himself withdrew from the political limelight – taking his toxic approval rating with him – he has continued to direct the party’s policy as its leader, and, presumably, will attempt to orchestrate Duda’s presidency from behind the scenes. Many in Poland and beyond are concerned that Duda’s presidency and a future PiS-led government may have a negative effect on the country’s foreign relations. What stance has Duda taken on foreign policy in the early days of his presidency? President Duda takes formal command of the armed forces. Source: thenews.pl. Apart from a right to initiate and veto legislation, the Polish president’s most far-reaching powers lie in foreign policy and formal leadership of the armed forces. The president is jointly responsible for foreign policy with the leading figures of the government. When the president and government represent different political options – as they did during the presidency of Lech Kaczyński – this shared responsibility can become chaotic and counter-productive. Though certain ceremonial roles are reserved for the president, and the parliament must support the signing of various agreements, the extent to which the president and the government create foreign policy together is vague. Duda’s team initially struck a cooperative tone, intimating a desire to avoid confrontation, and describing Poland’s foreign policy ideal as a harmonious duet “on two pianos.” How sincere this is – and whether the government will play ball – remains to be seen. Needless to say, a PiS victory in October would remove any potential source of conflict. In foreign policy, Duda and his team have already announced a “correction” rather than a revolution. This modest shift seems to imply a more robust presentation of Poland’s position and interests, but no major changes in policy. In an interview with The Financial Times, President Duda emphasized the importance of establishing new NATO bases in Poland (a call echoed by the PO defence minister), and the need for coal-friendly changes to EU environmental policy. Duda’s energy message is aimed above all at the huge Polish coal industry and the powerful unions that broadly support his party, but so far it is difficult to tell whether any substantively new position lies behind his suggestion that “Europe is undertaking too far-reaching commitments that will lead to the dramatic decrease of competitiveness.” In fact, the PO-led government negotiated hard – even threatening a veto – to win broad concessions for Poland when it agreed to the EU’s plan to cut greenhouse gas emissions by 40% by 2030. Duda’s words suggest that PiS might prefer to take an even stronger line. Duda’s vision is to exude new confidence in foreign policy. In short: if Poland is to be a power in the European Union, then its president must state its position and interests clearly and forcefully. Some have questioned the efficacy of this new assertiveness. For instance, The Economist magazine has expressed doubts about a supposedly “haughty” attempt by the president’s team to set conditions for future cooperation with Germany. At the same time, the British magazine compares Duda favourably with the Kaczyńskis, describing the new Dudean manifestation of PiS as decidedly “less crazy after all these years.” Duda confirmed this new constructive attitude in an interview with German newspaper Bild, in which he underlined the importance of Polish-German relations and praised Chancellor Angela Merkel – a far cry from Jarosław Kaczyński famous insinuations about her alleged connections with the Stasi. Apart from these positive steps in foreign policy, the new president has shown some inevitable greenness with an embarrassing stumble over Ukraine. While expressing Poland’s support for the embattled country, Duda suggested the possibility of a change to the format of European talks on the crisis, perhaps even with the inclusion of “Ukraine’s neighbours” – only to have Ukrainian President Petro Poroshenko immediately dismiss this move as unnecessary. 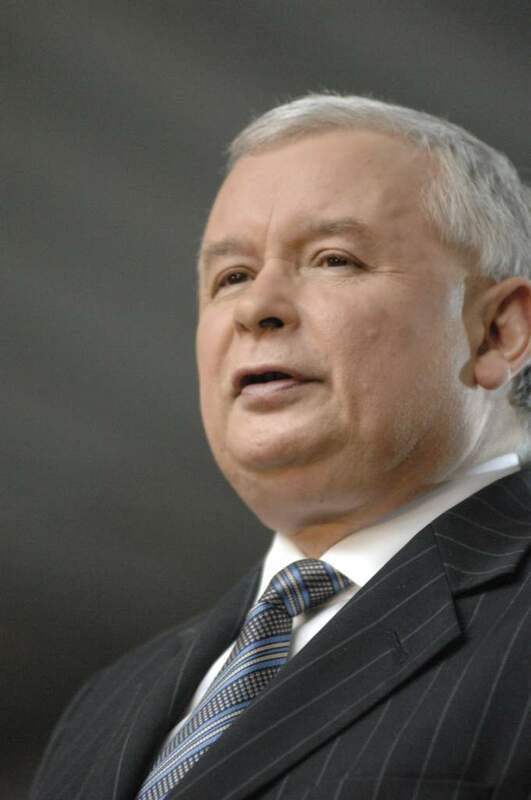 Duda’s words were probably meant for domestic consumption – showcasing a very reasonable desire to increase Poland’s influence on the international stage – but their rashness did little to improve the seriousness of the country’s image abroad. Assertiveness and the desire to project a dynamic vision come with risks. By western standards, the PiS party is an unusual mixture of social conservatism and economic leftism. Where does President Duda stand on questions of world view and the economy? On social issues, Duda presents himself as a strong conservative, wearing his Catholicism ostentatiously on his sleeve. He has already made numerous appearances in religious contexts, and it seems that life is set to become less comfortable for those in Poland who might prefer to keep religion separate from politics – especially if PiS forms the government in October. Duda’s image as a virtuous defender of the Church and its values was epitomised by a curious and much-reported incident in which he rescued a piece of communion wafer blown off the altar during an outdoor mass. At times, his very public performances of piety seem excessive, and perhaps even insincere, but they form a necessary part of PiS’s political strategy. Over the last year, the party has strengthened its alliance with the Catholic Church, which has itself become an increasingly prominent political actor. Presiding over a mass at Duda’s inauguration, Archbishop Stanisław Gądecki told the new president that it would continue to “speak on issues related to social and political life…to shape and illuminate the consciences of the faithful, especially those who devote themselves to political activities.” Archbishop Wacław Depo has gone even further, asserting that it is impossible to separate the affairs of the Church, the nation and the state. Alongside this social conservatism, the economic policy proposed by Duda and PiS is a mixture of neo-liberal promises of growth and generous populist leftism. On the one hand, the party claims that PO has left Poland in a parlous state, and that a PiS-led government will bring the sound economic management required to ensure genuine prosperity. Duda has repeatedly referred to the enormous number of Polish emigrants, especially in the UK, vowing to put the country “on the path of dynamic economic development” to stop the exodus and encourage the diaspora to return. This kind of rhetoric is essentially a beta version of PO’s “hot water from the taps” – with the promise of a stronger economy and a better quality of life for Poles. PiS will somehow fix the mess, and bring the prodigal sons and daughters home. Though the details of this plan for economic growth are scarce, Duda’s campaign included some very concrete promises in a more populist direction. Specifically, he promised to lower the retirement age, increase the tax-free income threshold, introduce a payment of 500 zloties for every child in poor families, raise taxation of large international companies, and “repolonize” the banks. Here we see a programme with much more in common with Western European social democracy than with any traditional conservatism – but also drawing inspiration from Viktor Orbán’s populist flirtation with nationalization in Hungary. Many have questioned the viability of Duda’s promises, and – in any case – the president has no direct power to fulfil them. History is often important in Polish politics. What is Duda’s vision of Poland’s past and how it should be presented? Somewhat disturbingly, Duda opened his designated question time during a television debate with Bronisław Komorowski before the final run-off by attacking the president’s apology for the massacre of Jews by their ethnic Polish neighbours in Jedwabne during the Second World War. This move was an unpleasant surprise to many, especially since PiS has generally not pandered to anti-Semitic elements among its constituency. Of course, the issue of collective guilt is complex and should be open for discussion, but using Polish-Jewish questions as a political weapon is a dubious strategy for a presidential candidate. Ultimately, Jedwabne remains a sensitive and controversial question in Poland, and Duda’s attack was a symbolic demonstration that he would be a president to defend Poland’s honour. All of Duda’s words and actions can be interpreted as part of PiS’s campaign for the parliamentary elections in October. Duda owes his political existence to the Kaczyński brothers, and it is difficult to imagine him showing disloyalty to Jarosław, who is surely still calling the shots from behind the scenes. So far, Duda has been energetic and partisan, delighting his supporters in the right-wing media and arousing suspicion in the liberal media, though certainly much less outright animosity than Kaczyński. Meanwhile, the key questions remain unanswered. If PiS wins government, will we see a return to the vengeful and ultimately counter-productive politics of 2005-2007? Or have Jarosław Kaczyński and the party genuinely learnt lessons about the value of political moderation in the quest not just to win power, but then to retain it? How they rule the country – as well as how PO responds to being in opposition after so long in power – will do much to establish whether Polish politics, 26 years since the return of democracy, has evolved into a stable two-party system. October will be an interesting month in Poland.